Spoil a friend, family member or yourself with the gift of Dolce and Gabbana perfumes. You can find these designer fragrances for men and women in a variety of scents here at Walgreens.com. 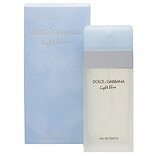 We carry Dolce and Gabbana scents in eau de toilette and eau de parfum sprays and splashes for a variety of tastes and preferences. If you're shopping for a special gift, look for a unique Dolce and Gabbana fragrance that your loved one will enjoy using for daytime or evening occasions. Classic scents available in eau de parfum sprays contain a higher concentration of fragrance, while eau de toilette sprays can be used liberally for a light and refreshing scent. Our selection of Dolce and Gabbana perfumes includes popular fragrances that you can add to your collection or give as a thoughtful gift. 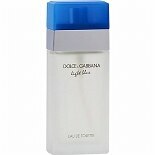 You can find Dolce & Gabbana Light Blue, as well as Dolce & Gabbana Pour Homme and The One. Our wider assortment of fragrances includes gift sets, sprays and lotions from a variety of brands, designers and celebrities.